Mahabaleshwar has a moderate climate and can be visited any time of the year, but the best time would be from August to December. Pune International Airport is the nearest airport to reach Mahabaleshwar, which is about 132 km from Mahabaleshwar. Mahabaleshwar is at a distance of54 km from Satara and 243 km from Mumbai. It is a popular tourist attraction in India& a town in the Satara district of Maharashtra. It lies at an altitude of around 1,353 m in India’s Western Ghats range. It is one of the best tourist attractions to visit near Pune & Mumbai, and among the top attractions to visit in Maharashtra. This pretty hill station is often referred to as the queen of hill stations in Maharashtra. It offers the best panoramic view of the plains, with the imposing sloppy peaks and surrounding woods. Lingmala Waterfall, Arthur’s Seat, and Pratapgad Fort are among the must-visit places of your Mahabaleshwar tour packages. Mahabaleshwar attracts many tourists for its lovely views, landscapes, and pleasant temperatures. There are many places to visit in Mahabaleshwar, like forts, temples, lakes, and many more. Mahabaleshwar Temple, Pratapgarh Fort, Lingamala Falls, Venna Lake, Krishnabai Temple, Tapola, Panchgani are some important of the important tourist spots in Mahabaleshwar. There are several viewpoints that offer panoramic views created by the majestic Sahyadri Mountains and deep valleys. Kate’s Point, Arthur’s Seat, Elephant head Point, Wilson Point, Connaught Peak, and Bombay Point are popular viewpoints. Mahabaleshwar is famous for its strawberry and mulberry farming. If you are planning a long vacation in Mahabaleshwar, then you can book Mahabaleshwar taxi services for local sightseeing. 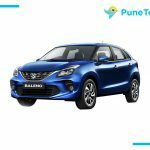 If you are wondering about how to go to Mahabaleshwar from Pune, then the best way to travel from Pune to Mahabaleshwar is by hiring a car from Pune itself. Pune is the only city near Mahabaleshwar, which is connected by the Airport and Railway for tourists from outside of Maharashtra to visit Mahabaleshwar. The distance from Pune to Mahabaleshwar is around 120 km, which is a three-hour drive away. Some of the tourists coming on a long vacation like to stay in Panchgani first for a day or two, and then move ahead to Mahabaleshwar. If you are ever planning to visit Panchgani, then you can book a cab from Pune to Panchgani. 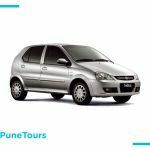 Why Hire a Cab for Pune to Mahabaleshwar from PuneTours? 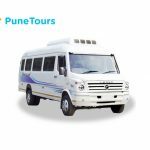 We provide the best cab service for Pune to Mahabaleshwar from Pune. We also provide one-way Mahabaleshwar cab package and Pune to Mahabaleshwar cab round trip package from Pune. With PuneTours, get picked up wherever you are in the city, free of charge.When you travel, you will always want to make the most of your time. Driving is often considered tiring and exhausting, and you end up reaching your destination too tired to do anything. Our expert chauffeurs will drive while you relax, so that you can get the most out of your vacation. PuneTours will never hold you liable for damages to the car, unlike your own cars or self-driven car rentals which will consider you liable for any damages caused to the car. Friendly drivers- Our expert drivers know all the routes, and they know local traditions, customs, and places to visit, shop and eat. They will be your friends and travel guides throughout your journey. Easy booking process- No need to upload documents, license, or anything of that sort. Hire Pune to Mahabaleshwar Cab with driver takes less than a minute.